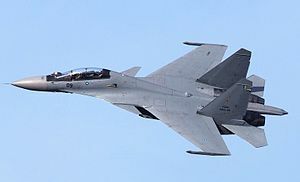 The Malaysian Armed Forces (MAF, Malay: Angkatan Tentera Malaysia-ATM; Jawi:اڠكتن تنترا مليسيا), the military of Malaysia, consists of three branches, namely the Malaysian Army, Royal Malaysian Air Force and the Royal Malaysian Navy. Since June 20. 2018, Gen.Tan Sri Zulkifli Zainal Abidin is the Chief of Malaysian Armed Forces. Malaysia's armed forces were created from the unification of military forces which arose during the first half of the 20th century when Malaya and Singapore were the subjects of British colonial rule before Malaya achieved independence in 1957. The primary objective of the armed forces in Malaysia is to defend the country's sovereignty and protect it from any and all types of threats. Malaysian Army with Supacat vehicle. The main theaters of operations were within Malaysian borders, primarily to fight an insurgency led by the Communist Party of Malaya (CPM) in what was known as the Emergency. The only foreign incursion of Malaysian territory in modern times were in World War II by Japan (Malaya was then not a unified political entity and consisted of the British Crown Colony of the Straits Settlements, and the British protected Federated Malay States and Unfederated Malay States) and during the Indonesia-Malaysia confrontation by Indonesia under the leadership of President Sukarno. Operations on foreign soil have mainly been peacekeeping operations under the auspices of the United Nations. Soldiers from the Malaysian Army 9th Royal Malay Regiment with a M4 Carbine carry out a beach assault during CARAT Malaysia 2009. Deployed in South Lebanon on peace keeping role at present after the withdrawal of Israeli Military forces early 2007 (Invasion of South Lebanon by Israeli Military). Unit mainly consist of GGK, PASKAL, PASKAU and PARA elements. An examples of Malaysian Armed Forces main weaponry assets. Clockwise from top right: Scorpène-class submarine, PT-91M MBT tank, Malaysian Army paratrooper with M4A1, and Su-30MKM fighter aircraft. Malaysian defence requirements are assigned to the Malaysian Armed Forces (Angkatan Tentera Malaysia – ATM). The armed forces has three branches,the Malaysian Army (Tentera Darat Malaysia – TD), Royal Malaysian Air Force (Tentera Udara Diraja Malaysia – TUDM) and the Royal Malaysian Navy (Tentera Laut Diraja Malaysia – TLDM). Malaysia does not have conscription, and the required minimum age for voluntary military service is 18. Since the recovery from the 1997 economic crisis, the army's modernisation programme has gained momentum. Following the completion of the Kedah-class offshore patrol vessel, Malaysia's New Generation Patrol Vessel (NGPV) program, Malaysia has ordered six Second Generation Patrol Vessels. Malaysia is also looking to purchase two more Scorpène-class submarines, as well as a batch of Multi-Purpose Support Ship (MPSS) and maritime patrol aircraft. In light of the increasing crude oil price worldwide, the military had volunteered in a pioneering program to use biodiesel. By next year (2007), all diesel-type vehicle in the Malaysian Armed Forces will be using biodiesel consisting of 95% diesel and 5% palm oil diesel. Previously there are fears that extremist militants activities in the Muslim areas of the southern Philippines and southern Thailand could spill over into Malaysia. Due to this, Malaysia began to increase its border security. ^ "2017 Malaysia Military Strength". globalfirepower.com. Retrieved 22 March 2018. ^ "Malaysian Armed Forces". GlobalSecurity.org. ^ "Malaysia announces 5.3% defence budget increase - Jane's 360". www.janes.com. Archived from the original on 7 March 2018. Retrieved 22 March 2018. ^ a b c d e f g h i j k l m n o p q r s t u v w x y z "Arms Transfers". Stockholm International Peace Research Institute. Retrieved 30 August 2015. ^ Babatunde Fagoyinbo, Joseph (2013). The Armed Forces: Instrument of Peace, Strength, Development and Prosperity. Author House. ISBN 1477218440. ^ a b "Malaysian Military statistics". NationMaster. Retrieved 1 October 2010. This page was last edited on 24 April 2019, at 11:13 (UTC).